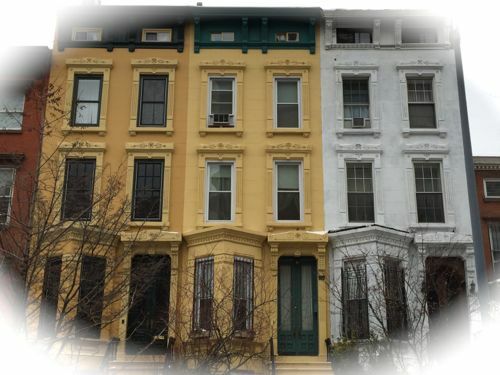 IT’S NOT NEWS THAT BROOKLYN’S FORT GREENE NEIGHBORHOOD has some of the most elegant brownstones in the borough. And that Fort Greene Park, designed by Calvert Vaux and Frederick Law Olmsted, like Central and Prospect Parks, is no less a masterwork of 19th century landscape architecture. 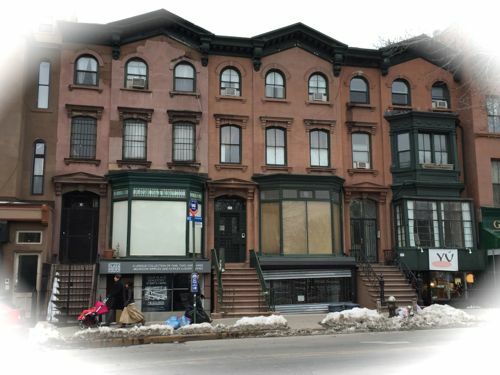 But as is often the case in a complex place like Brooklyn, where stylistic layers have accumulated over the decades and where there’s just so much to look at as you barrel along, even a longtime resident like myself is constantly discovering new (to me) blocks and buildings. 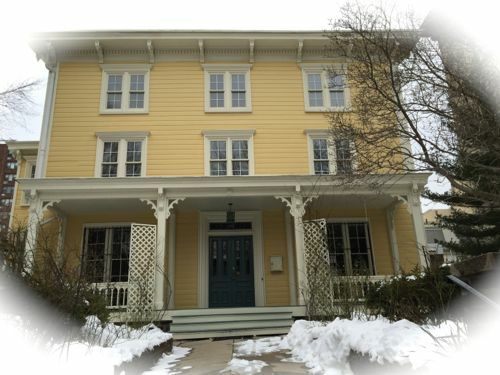 Out for a walk last Sunday and wanting to try out the camera on my new iPhone 6, I strolled down Cumberland Street, which I knew had at least one very fine freestanding mansion, above, and found many more wood frame houses than I expected, and much else to keep my eyes busy. 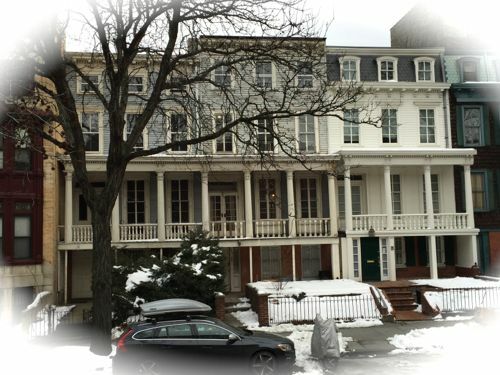 Most of the houses in this post are on that one street, with the exception of the three old brownstones with intact parlor-floor storefronts and gabled roofs; those are on Greene Avenue. 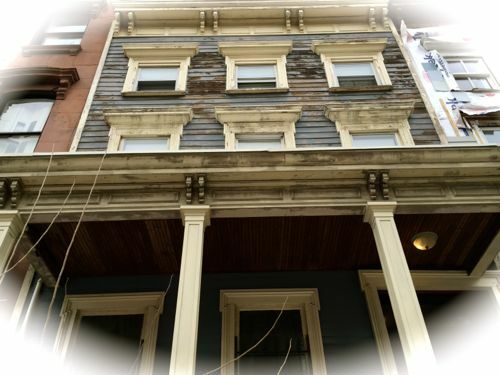 Thirty-five years ago, when we were a young couple and had recently bought a fixer-upper on the fringe of the fringe of Boerum Hill, we briefly knew another young couple who had bought one of those three buildings in even more derelict condition and were giving it a go. I wish I knew what became of them, but I don’t remember their names. Perhaps they still own it. Or perhaps they got quickly discouraged and moved away. Or perhaps they held on to it for decades, sold it and made a killing. Whether they’re there or not, the buildings remain. And that’s what’s so great about Brooklyn. 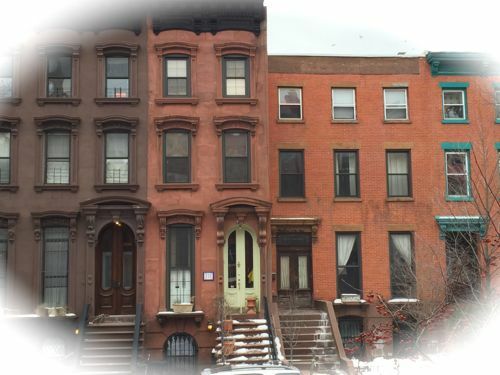 This entry was posted in ARCHITECTURE, BROOKLYN and tagged brownstones, Cumberland Street, Fort Greene, Fort Greene Park, wood frame. Bookmark the permalink. 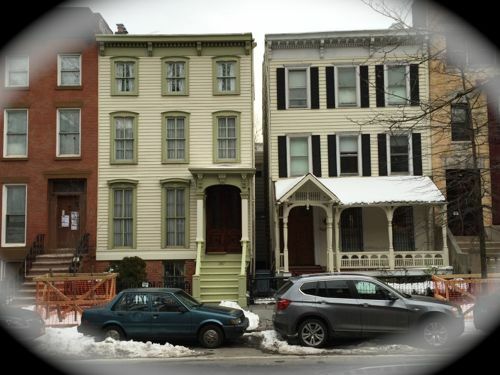 Is that last yellow house on Lafayette Ave.? 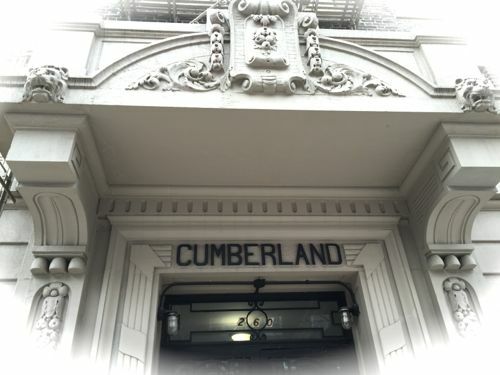 Nope, Cumberland Street. 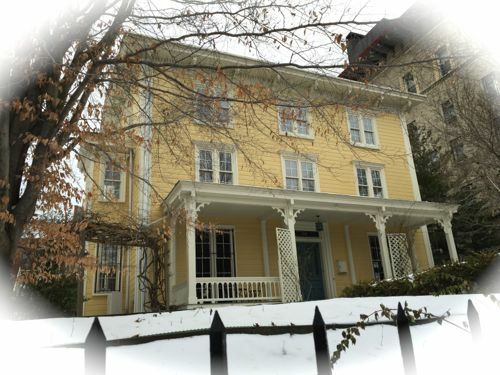 I know the yellow house on Lafayette you’re thinking of though.